As headhunters, we hear this a lot. The reality is, there just isn’t enough A+ talent to go around, so they will always be in demand… and headhunters will always call. 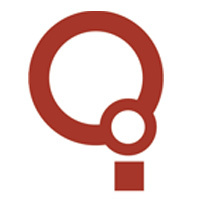 Since IQ PARTNERS is committed to helping our clients hire better, hire less, and retain more, we created a seven step guide to recruiter-proof your business using research and first-hand interviews with top companies like Google, Deloitte, LoyaltyOne, TD Bank, and Achievers. Each month we’ll share a little from each of the seven steps. This month: how to create a culture of recognition and appreciation. Click here to download the guide now, or read on for a teaser from step four. Turnover rates are 31% lower in companies with effective recognition. Productivity is 14% higher with recognition. 76% love their job, compared to 37% of those never recognized. Showing appreciation is key to employee engagement. In step four we discuss how the emotional satisfaction of ‘being appreciated’ has been shown to be far more important than financial compensation when it comes to motivating employees… and it costs companies nothing! Autonomy (the desire to be self-directed). Mastery (the desire to improve). Purpose (the desire to have their work matter). Successful growth companies like Google, S.C. Johnson, and 3M have committed to employee recognition with perks like private concierge services, free food, and more. 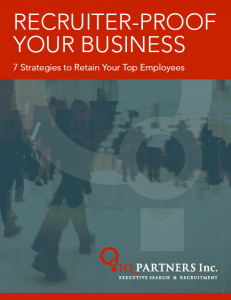 For more on showing appreciation as the fourth step to building an engaged workforce, download the full guide, Recruiter-Proof Your Business: 7 Strategies to Retain Your Top Employees.